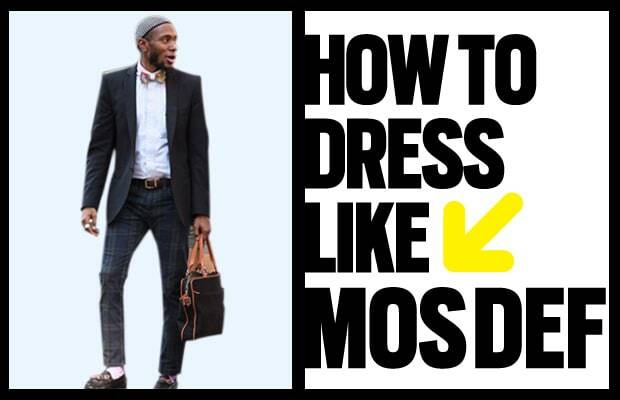 When it comes to personal style, Mos Def keeps it on point. Whether it's a fedora and suit to keep it subtly refined or a cut-off denim vest, sunglasses, and Japanese selvage jeans, whatever Mos is wearing usually draws attention. If you've got an eye for the dapper side of things, like one-of-kind Kente cloth bow ties and unpredictable plaid pants, you'll agree the above look is clean. So stay tuned for this edition of How to Dress Like...our fashion editors have got you covered.